Motlow State Community College softball program is in the process of completing a capital project that will result in major facility changes to the field. Motlow wants to upgrade the backstop design to match several other facilities that include a brick backstop with athletic netting. This will also aid in the spectators ability to enjoy the game. Through your purchase of a legacy brick, we will be able to raise the funds needed to complete the facility upgrades as well as create a prideful walk to the field. At Motlow State we never want to forget those who have come before us and made such a lasting impact to not only our program but to our school as well. 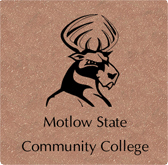 Through your purchase of a legacy brick, we will be able to honor those who have played, those who have supported, and those who have taught Motlow individuals about what being a Buck is all about. We thank you for your support and we hope to have the pleasure of honoring many who have touched the heart of this wonderful Motlow State program! All text is case sensitive and centered automatically on your order. Please use the spaces provided below for your message and note that characters include letters, numbers, spaces and punctuation. If you would like more than one order with the same verbiage, simply click on the add to cart button multiple times. If you would like to place a separate order, clear text, add new verbiage and click add to cart button. Motlow State Community College reserves the right of refusal of any order found to be inappropriate or in violation of Motlow State Community College, directives or guidelines. 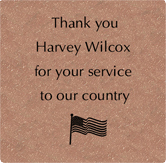 Engraved bricks provided by Brick Markers USA. 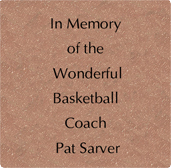 If you have a fundraising opportunity please contact us at www.brickmarkers.com.